Bonfire Night can be a special time for little ones with the excitement of fancy dress and fireworks. However dark evenings and over-excited children is potentially a recipe for disaster and advanced preparation can help to ensure the evening is memorable for all the right reasons. 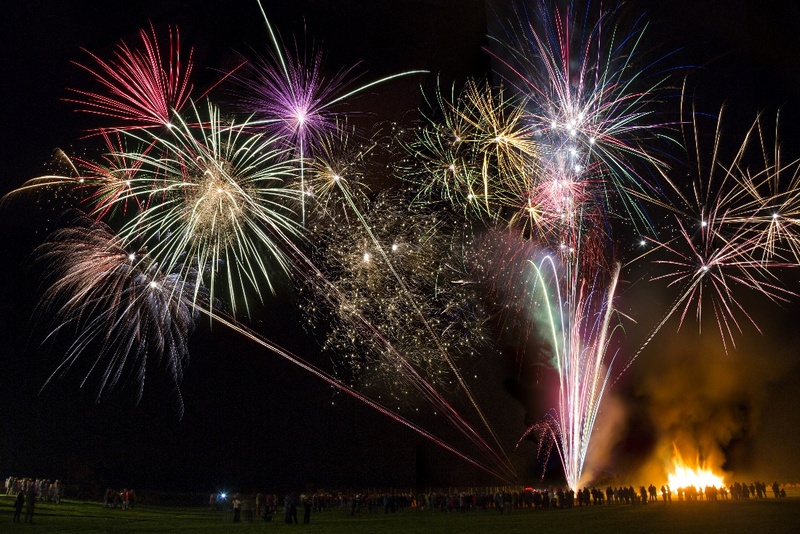 Emma Hammet, founder of First Aid for Life, which runs practical, insightful and life-saving first aid courses in London shares her advice on how to stay safe this Bonfire Night. Fancy dress costumes are neither waterproof or flame resistant – if children want to dress up, wear warm clothes underneath, take a waterproof and be very careful to avoid naked flames. A torch is also a really good idea or a fully charged mobile so you can use the torch app. Always hold children’s hands and be ready in case they panic and run if something suddenly scares them. Make a clear meeting point in case you get separated and point out officials that can be asked if they are lost. It is a good idea to place a card with your mobile number on it in your child’s pocket and tell them to ask someone to call you if they get lost. Over a four week period around November 5th more than 1,000 people are likely to suffer injuries due to fireworks. Of these accidents, nearly 600 are likely to occur at home or private parties and nearly 400 accidents involve children under the age of 13*. The safest way to enjoy Fireworks is to go to a public display. If you are planning fireworks at home: Have an appropriately stocked first aid kit including professional burns dressings, a bucket of sand and plenty of water, as well as a fire blanket and a bottle of sterile saline to irrigate eyes should sparks be blown into them. Check the fireworks conform to British Standards and you have sufficient space to ignite them safely. Although Sparklers are fun, they burn extremely fiercely and are not suitable for children under the age of five. 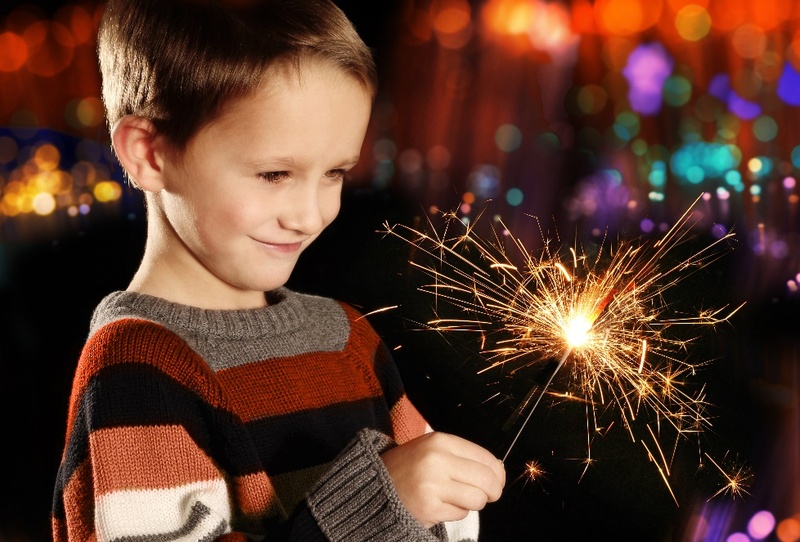 Always supervise children with sparklers and ensure they have sufficient space to avoid brushing against others. Have a bucket of sand to put used sparklers into and ensure no one picks them up until they are completely cool. Cool the burn and keep the person warm – be ready to treat signs of shock. If a child is burnt and the area is blistered and larger than a 50p piece, you should phone for an ambulance. Once the burn has been cooled for at least 15 /20 minutes, the burn can be loosely covered with cling film or inserted into a sterile plastic bag if appropriate –alternatively keep running it under water until the paramedic arrives. Remember: stop, drop, wrap and roll. Roll the casualty along the ground until the flames have been smothered. If clothing has caught fire it is more than likely that the burn will be severe. A severe burn is deep and may not hurt as much as a minor one due to damaged nerve endings. Start cooling the burn immediately under cool running water, use a shower if the burns are large, but keep looking for signs of shock and be ready to treat it. Keep cooling the burn while waiting for professional help to arrive. Ensure you are cooling the burn and not the casualty, keep areas that are not burnt as warm and dry as possible to try and avoid the casualty going into shock. Fireworks and bonfires release sparks and debris, which can be blown into the eye. Wash your hands and carefully open the casualty’s eye looking in particular for any embedded object. If there is anything lodged in the eye, cover both eyes and phone for an ambulance. If you can see the object in the eye and it is moving freely, use a sterile eye wash and gently irrigate the eye to remove it. If the casualty is still in pain, or discomfort, seek medical advice. It is strongly advised that you attend a practical or online First Aid course to understand what to do in a medical emergency.